The AF1 series has successfully been introduced to the market as an inexpensive, high-precision and stable measurement transmitter series for monitoring air velocity and temperature. With the latest model, the measuring range and the output signal can be adjust-ed easily using the integrated DIP switch and configured via Modbus RTU communication. The AF1 can be easily integrated on a digital network. The AF1 is primarily designed for heating, ventilation and air conditioning (HVAC) applications, but is also used in other applications in industry such as process control. The AF1 can monitor and evaluate the functionality of ventilation and air conditioning systems in an extremely effective and efficient way. This is an important function, since air quality and room temperature are highly important for personal comfort and ultimately their performance capability. To ensure this, systems must operate without problems and be maintained at the correct values. 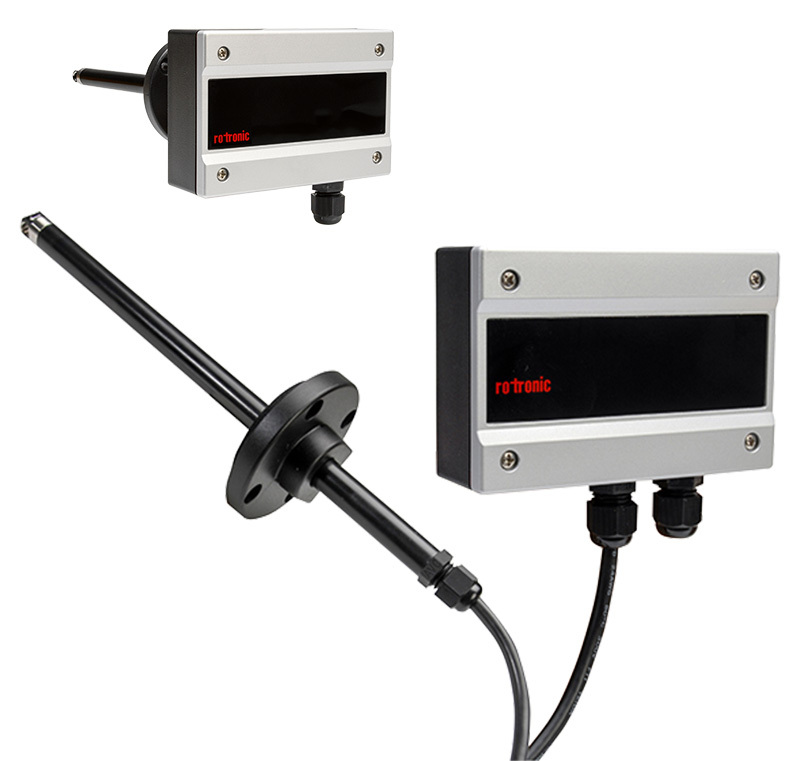 AF1 series measurement transmitters are available in a wall mount housing with a cable mount sensor, or as a dedicated duct version. They can be installed easily and cost-effectively. A calorimetric sensor is fitted providing outstanding long term stability. The air velocity and temperature ranges and analogue outputs can be adjusted easily and without additional software using either the integrated DIP switch and configured via Modbus RTU communication.